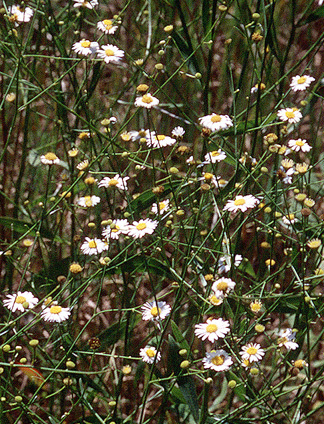 This tall aster-like plant with large white flowers was conspicuous in the open field. Frequency: Scarce, only a few plants found in sunny field. Range: Prairie plant, found infrequently in the western portions of Indiana. Also reported from Connecticut to South Dakota and from Florida to Louisiana.